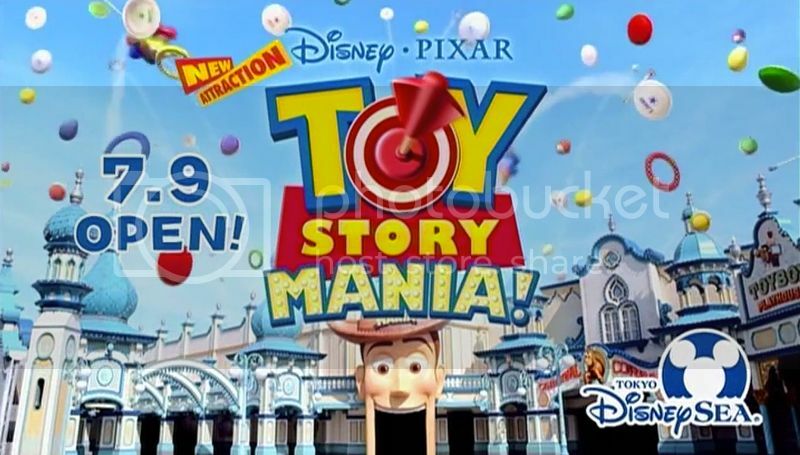 Toy Story Mania will open at Tokyo Disney Sea on July 9 in the American Waterfront land and the new area is called "Toy Ville Trolley Park". 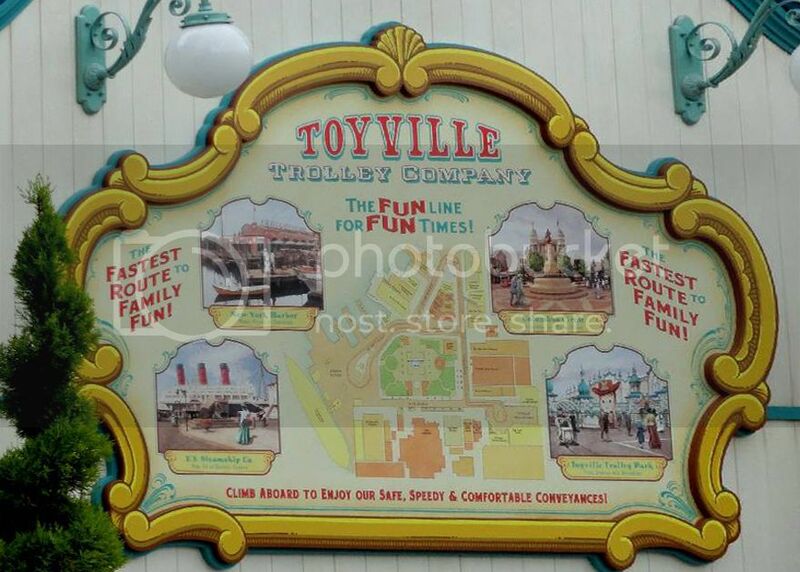 With its architecture inspired by the famous victorian Coney Island style, Toy Ville Trolley Park has a unique style that you've never seen in any other Disney theme park. 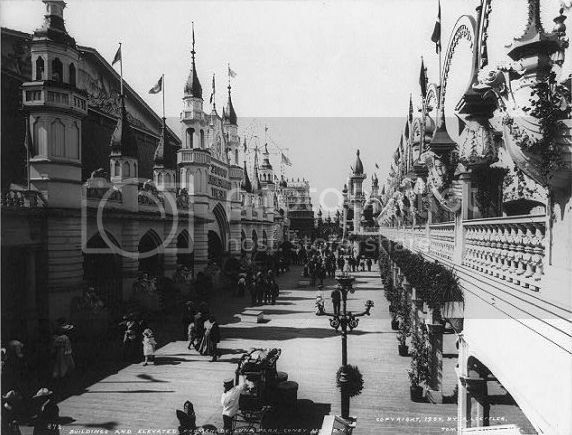 Of course the old Coney Island Luna Park style fits well at American Waterfront as we're supposed to be in New York early last century but what i also like is that the style was totally unexpected. 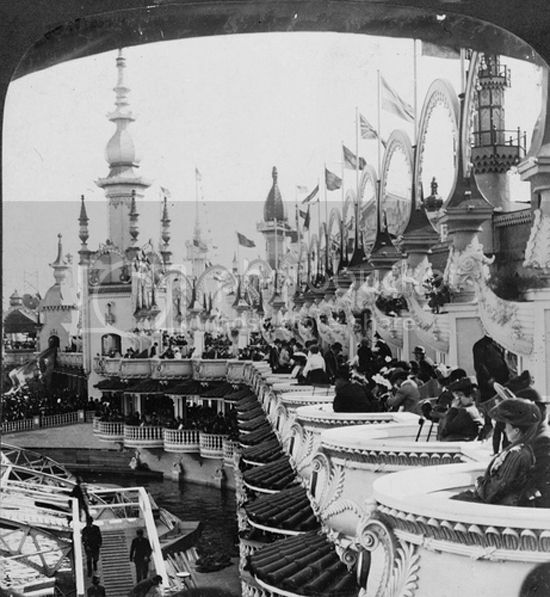 I suppose that it's because i'm french and that we never had this kind of victorian style in France, which of course will not be the same for americans because the old Coney Island Luna Park is so famous in the U.S. 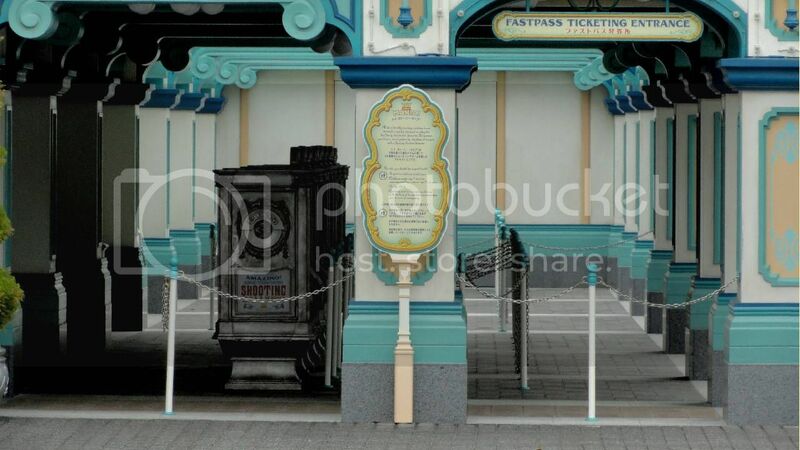 I like too the teal green color but what i'm curious to see is how the new area will go fine with the surroundings. TDS Tower of Terror is not far as well as the Columbia ship, so it will be interesting to see how the different styles fits together. 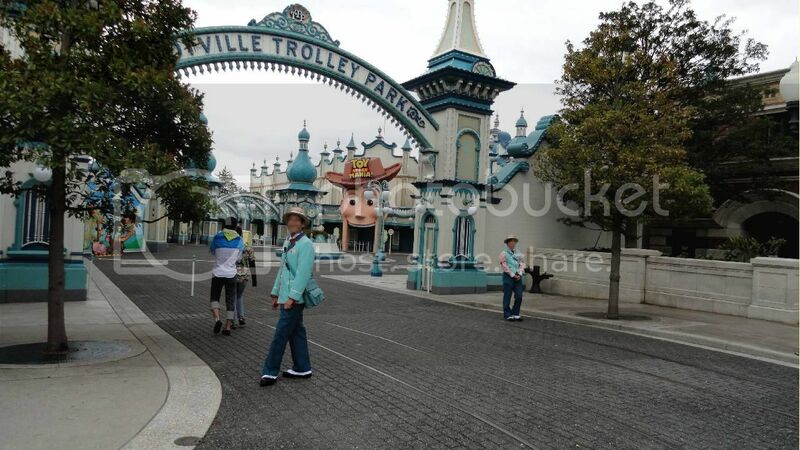 Toy Ville Trolley Park will open officially on July 9 and we can expect soft-openings anytime soon but thanks to the team of Deep Disney we have the first pictures of videos to show you - as well as first videos. 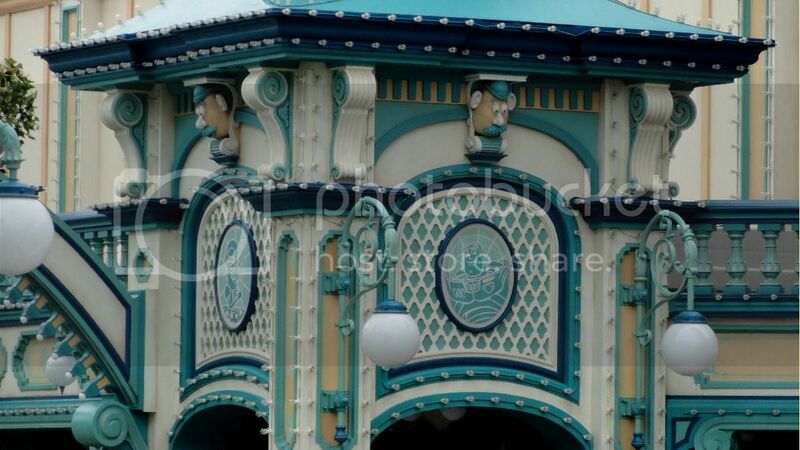 Some closer shots on some details of Toy Ville Trolley Park decor. 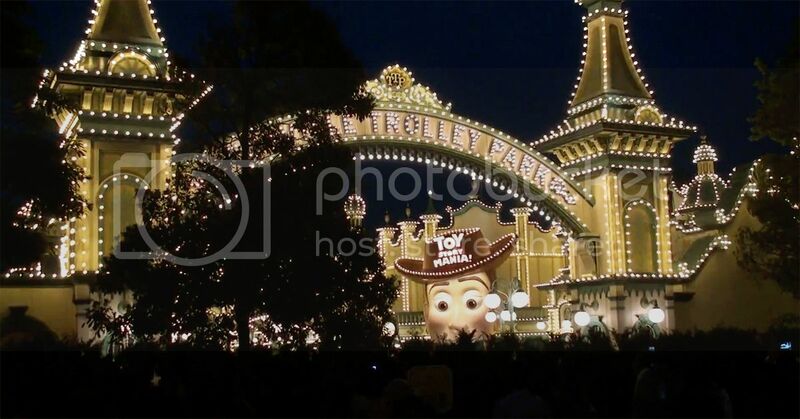 Enlarge the pictures to see all the Toy Story characters placed here and there. 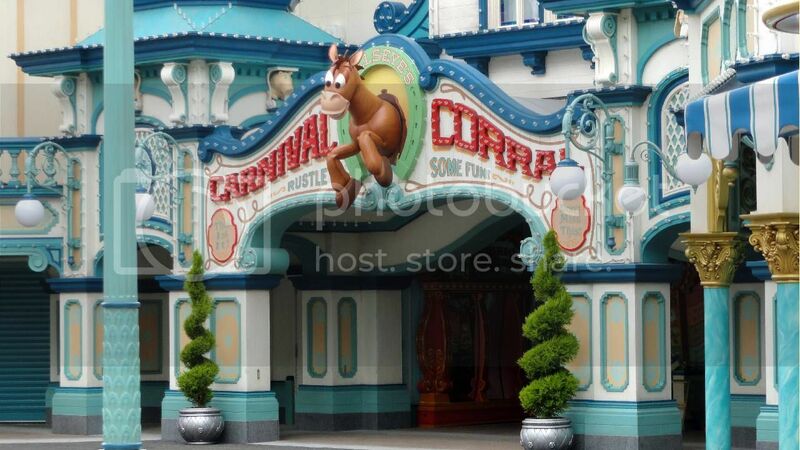 Slinky Dog’s Gift Trolley and Bullseye’s Carnival Corral with three kind of old carnaval games with Toy Story characters. They will be able to discover their reflection in Manic Mirrors magic mirrors, run as fast as they can at Blazin’ Buckaroo, and even animate a small carnival scene at Woody’s Wonder Wagon. Here is a short video showing the always partly hidden entrance as well as the first official TV Ad. 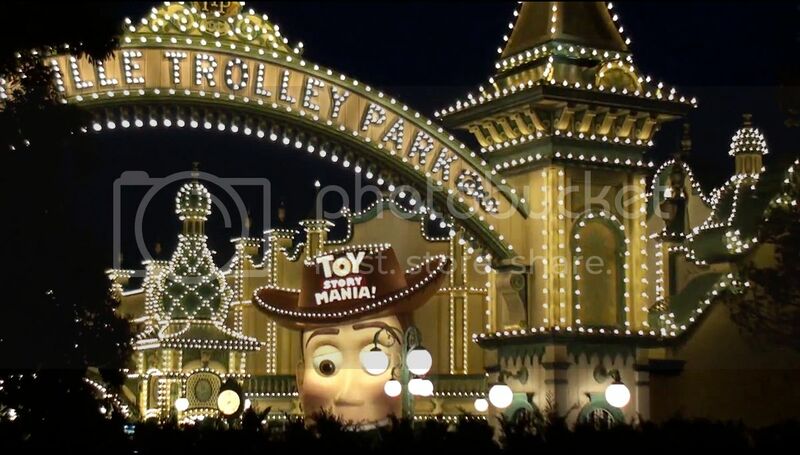 Toy Ville Trolley Park already look great by daylight, even with a cloudy sky, but for sure it will look gorgeous at night with its thousand of lights as you can check on the pictures and video below. After Buena Vista Street and Cars Land it will be the third wonder designed by WDI Imagineers to open in less than a month! 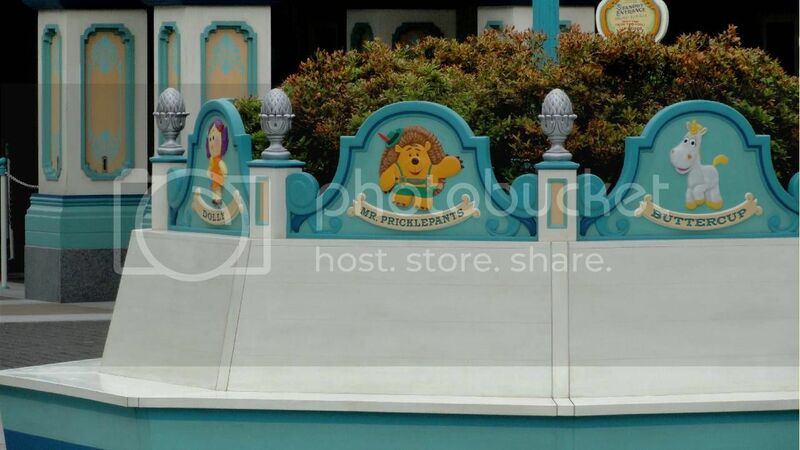 And right after Toy Ville Trolley Park opening on July 9 there will be a fourth one on July 14 with the opening of Grizzly Gulch at HKDL! I don't think we ever had so many openings of great WDI works in such a short period of time. What a great month. You might be interested to learn more about where WDI Imagineers found their inspiration for the unique Toy Ville Trolley Park style. Well, this fanciful and not much used style was made up by two architects back in the late 1880's who designed Coney Island Luna Park: Thompson and Dundy. 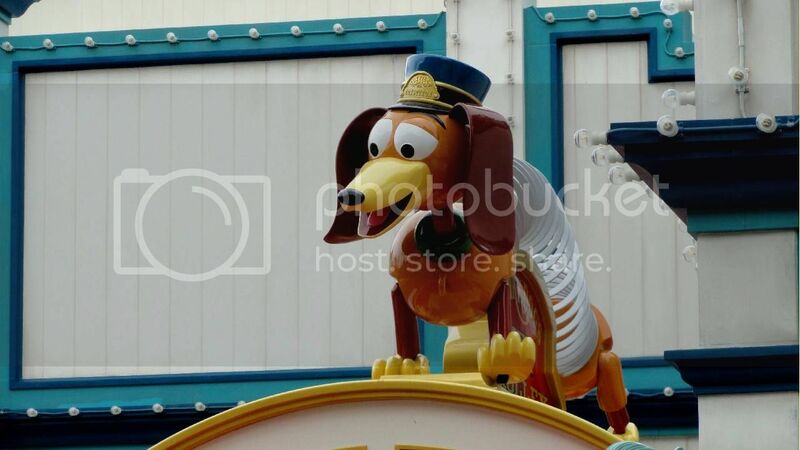 They were brought there by George C Tilyou - his name is on top of DLP Main Street Boardwalk Candy Palace as a tribute! - and then it was copied at the other trolley parks. Trolley parks were built by trolley companies at the end of the line to get people to ride the trolleys. 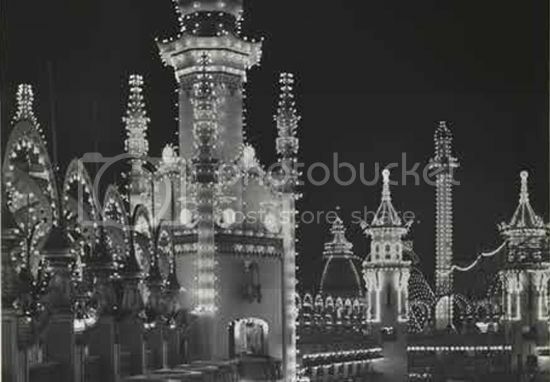 Of course the most famous was the old Coney Island Luna Park which was gorgeous and i found for you some old pictures of it. 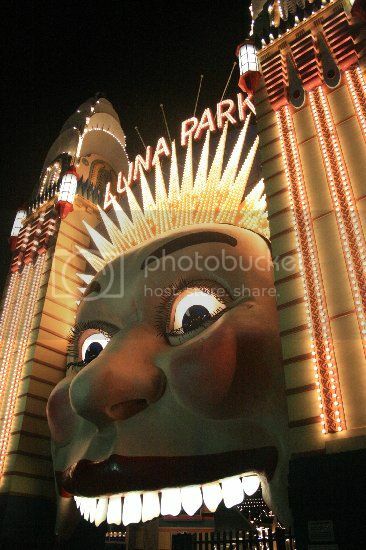 The big Woody head with his mouth wide open is also a Luna Park classic. 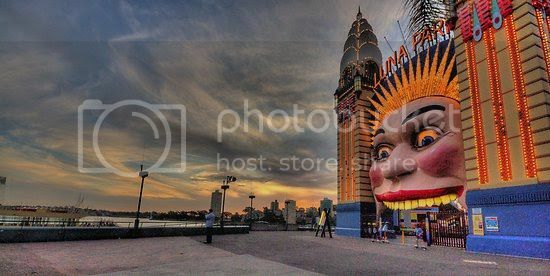 On the pictures below shot at Sydney, Australia, you will see a similar one - not with Woody's face of course - at the entrance of this other Luna Park which still exist today. 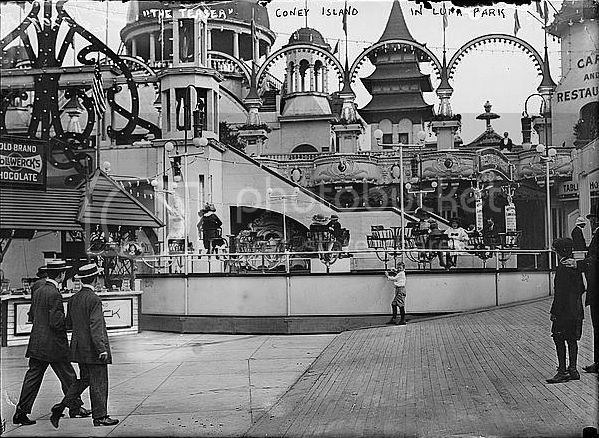 The original Coney Island Luna Park was an amusement park at Coney Island, Brooklyn, New York City from 1903 to 1944. Unfortunately a pair of fires in 1944 destroyed much of it. It was not rebuilt and did not open for the 1945 season and after a legal battle and a third fire in 1946, the land was used for other purposes. The story of Coney Island was told in a fantastic and not-to-be missed documentary that i've embedded below. 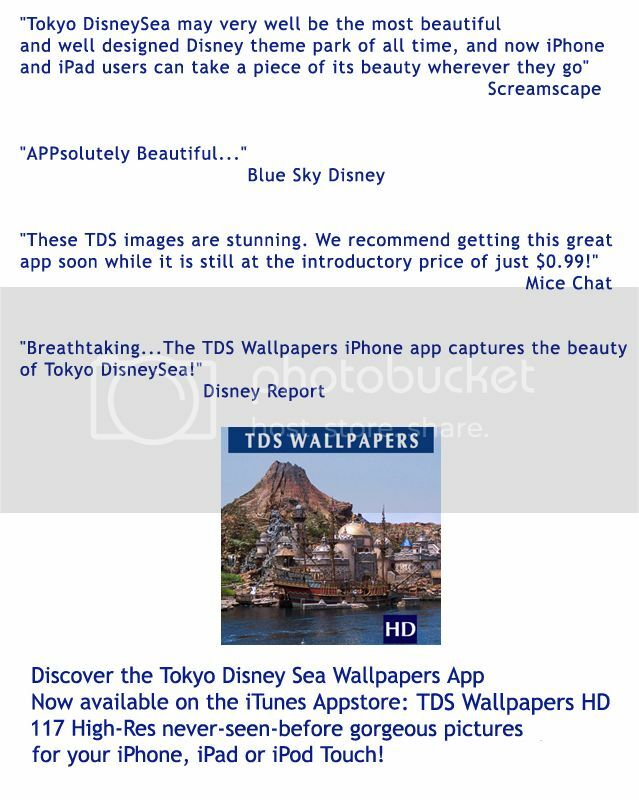 Talking about Tokyo Disney Sea, if you haven't downloaded yet on iTunes my great TDS Wallpapers application for iPhone or iPad with hundred of HD stunning pictures of the park, it's still time to do it! Click HERE for direct access to the TDS Wallpapers HD iTunes page or READ my article first HERE. 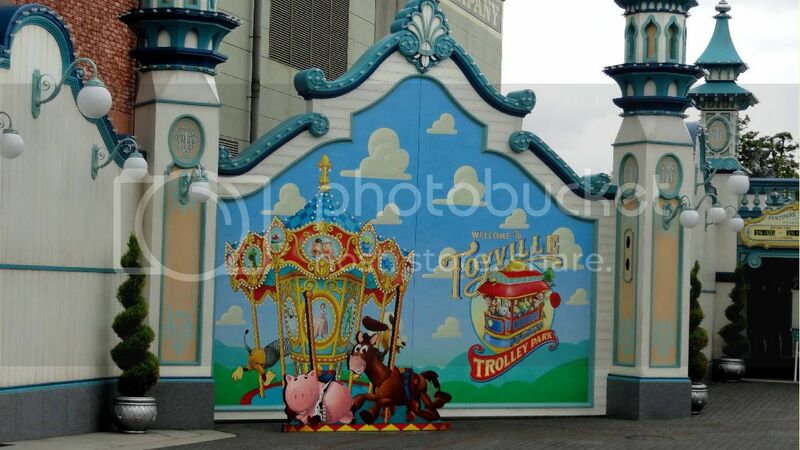 Is there enough room to add new rides to Toyville? I think that a California Screamin' and a small flat ride would be a nice addition. All with new victorian theme and names, of course. Thanks, Alain, for the informative post. I was aware of Luna Park but did not know about the connections to the Trolley companies. 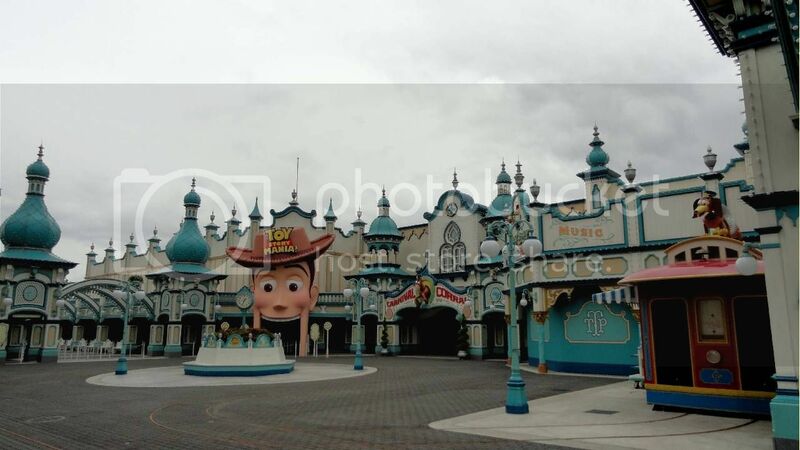 Not quite sure what the Toy Story theme has to do with this area of the park and the Woody head looks just like Krusy the Clown at Universal's Simpson's attraction. To Brian: if you're not quite sure what TSM has to do in American Waterfront, read the article, Brian, don't only "look at it". 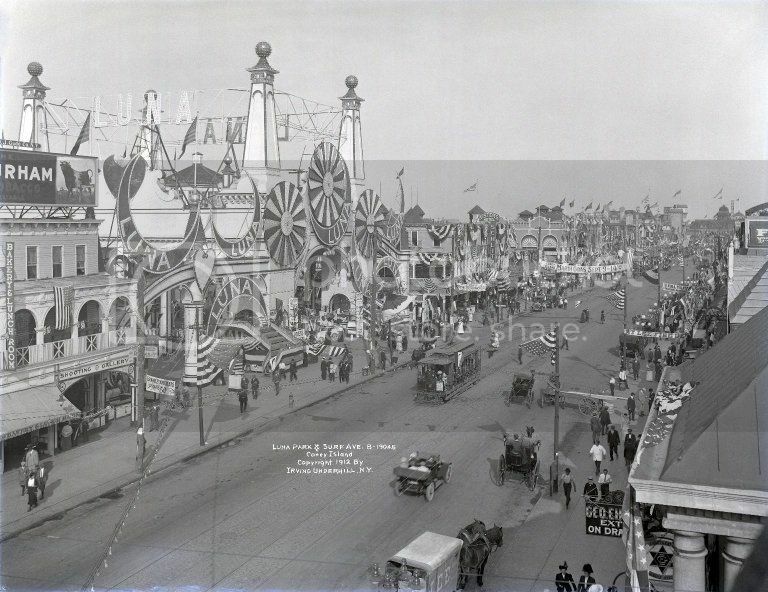 There was a Trolly Park on the edge of Los Angeles called Luna Park from 1910 to 1914. Atain Littaye, Indeed read the article. 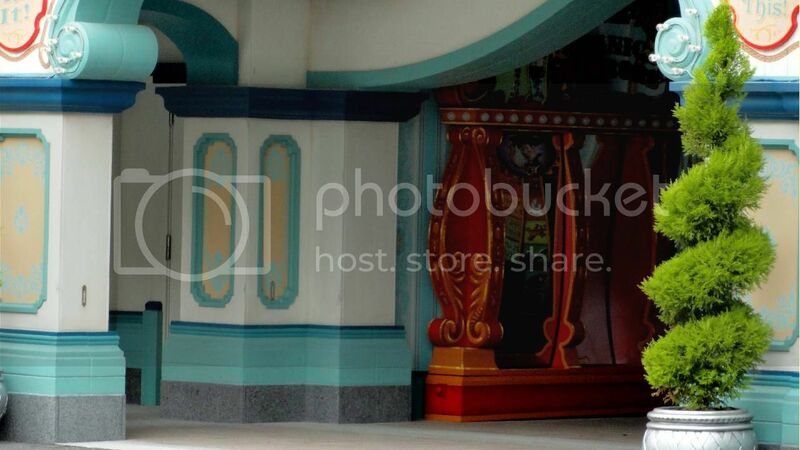 To shoe horn a 3-D projected shooting gallery in American Waterfront, even with a facade inspired by the old pleasure parks such as Luna Park featured in the article, is a stretch, given the content of the ride does not fit with the theme of the area. 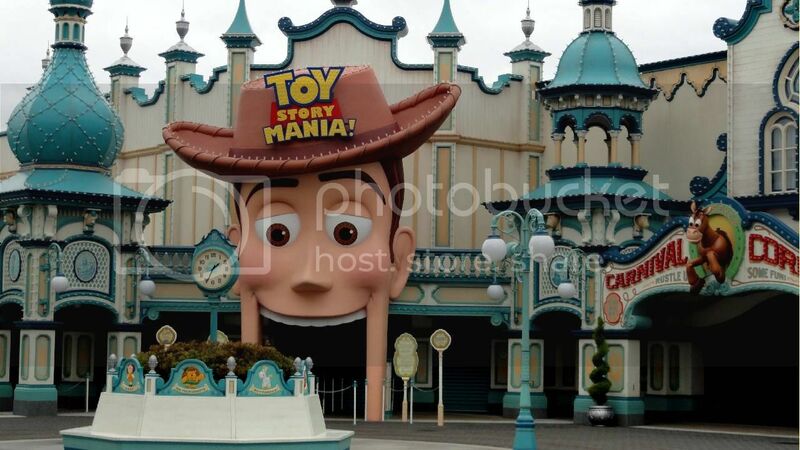 It does not matter if the facade carries the theme, the whole attraction from the exterior, the entrance and the exit should have a theme that makes sense in its location. Simply praising the attraction as appropriate because of the facade does not address the heart of what it houses. With that philosophy they could have taken the same ride and given it an Arabian Knights facade and stuck it in Arabian Coast or created a facade fitting for Port Discovery and have the attraction fit? 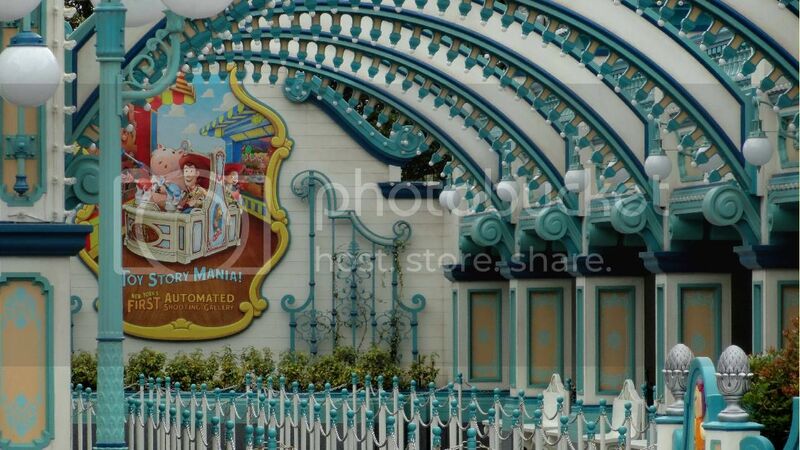 Attractions are suppose to be cohesive from facade to entrance to exit. Actually the fact that it is 3D is irrelevant, the style of games are MidWay games, hence the name midway mania. 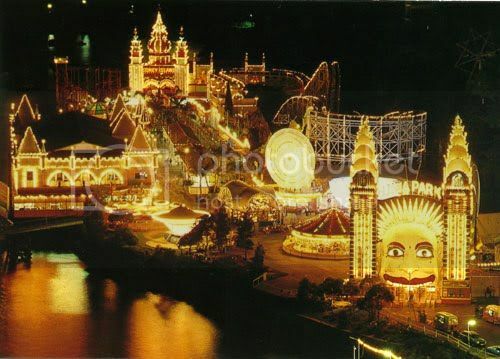 Those games would be found on the waterfront and in areas such as Luna park. Hence the fit is ideal!! Looking at all 3 world wide versions, this along with DCA Paradise Pier are the ideal location and theming, its DHS version that is out of place! 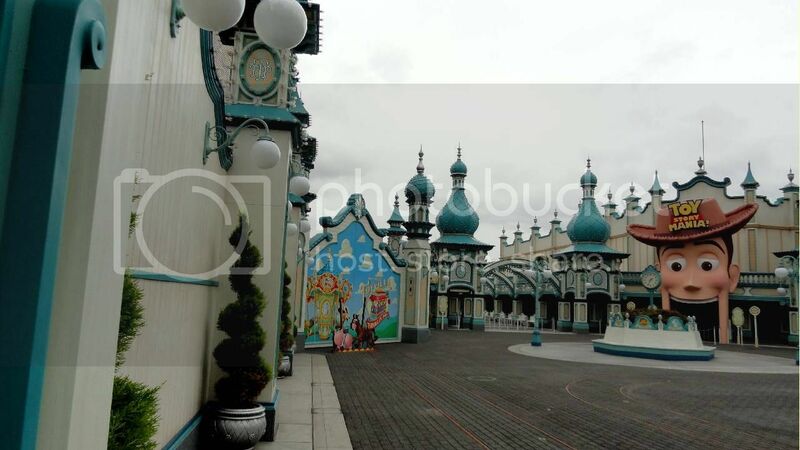 What a great theming! We can always trust the Japanese to do things better! I'm more excited now for my next trip to Tokyo and Tokyo Disneyland Resort. What an amazing "Theme Park" it was! Awesome ...the perfect theme park gets even better! I could see this happen in Walt Disney Studio Park as well. 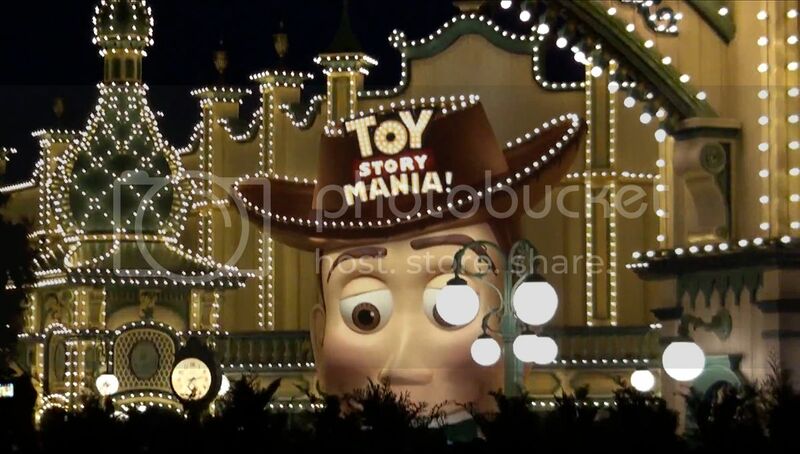 They already rumoured that Midway Mania will be built in few years. Imagine they build a lake on the current tram tour place, having Midway Mania behind the current Playland, so still connected, and on other side connected to the lake. They could easily fit this in a paradise pier-theme. Sure Brian, and they are going to build the wizarding world of Harry Potter on Disney Studios Paris just after the lake.